Powerful, high-temperature professional steam cleaning provides the best way to thoroughly and safely sanitize upholstery in living areas. Whether you need sofa cleaning in a family den, or a way to refurbish and refresh waiting rooms in high traffic public areas of commercial buildings and institutions or a periodic re-sanitizing of hotel or motel rooms, All Steam Carpet Cleaning can assist you. We serve homes and businesses throughout Monmouth and Ocean Counties in New Jersey. Use periodic professional steam cleaning to remove embedded dirt and debris your vacuum cleaner misses. You will delight in the sweet-smelling, crisp appearance of your upholstery as a result of our steam cleaning services. Professional steam cleaning restores the vivid appearance of fabric-covered and cushioned surfaces and mattresses quickly and safely, while removing stains and unwanted odors. 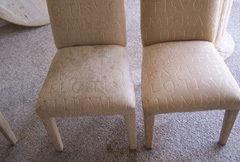 Who Requires Frequent Professional Steam Cleaning of Upholstery? Additionally, it makes sense to steam clean upholstery when floors are steam cleaned. By sprucing up these furnishings, a comprehensive steam cleaning session can enhance the appearance of living environments. 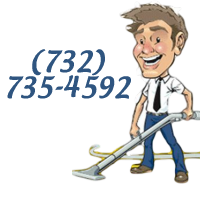 We offer comprehensive steam cleaning services. We will be happy to provide you with a free estimate for our services. Simply call us at 732-735-4592, or use the contact form!